Bedrooms are often last on the priority list when it comes to home renovations and updates. It makes sense to focus on the spaces where guests are hosted – kitchen, living room, powder room, etc. But in the era of being over worked and under rested, bedroom design should be top of mind! After all, a good night’s sleep is the key to a productive, pleasant day. Consider our tips below for a simple and inexpensive bedroom update. 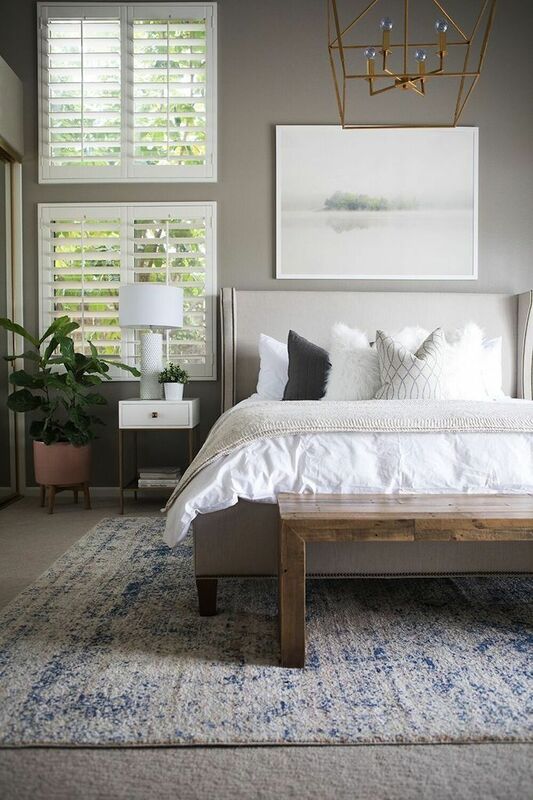 Your bed is the focal point of the bedroom – try moving it into a new position in a different light, or treat yourself to new sheets or pillow shams. Change up your blankets for winter –think velvet or knit wool. These easy updates bring tons of warmth to your winter bed and don’t cost a lot of time or money. Think like a minimalist and free up some extra space by eliminating bulky or unused furniture. You’ll be surprised at how different and spacious the room will be! Or perhaps you’ll find room for a more useful setup, like a reading chair with floating shelves. Do you have an old wooden dresser or bookshelf that you’re not ready to part with? Instead of chucking it, chalk paint it. Nail the shabby chic look with Annie Sloan’s line of paint – it requires no sanding or prep and is less labour than you think! Update your bedside table lamps or consider replacing your ceiling light. Not only are chandeliers stylish and fun; they give off a lot of light and will brighten up your space considerably. This is by far the simplest way to revamp your bedroom. Add a cozy touch with a new bedside rug or a luxurious throw. Plants are a great option for adding a punch of green and making the room feel more alive. Buy some new frames for existing photos and artwork, or even take it a step further and paint your old ones!